How did Bean Gilsdorf go from studying linguistics to becoming an artist, critic and curator? While in NYC for the opening of her three-person show, Dead Ringer, Bean joined us to talk about making the decision to be an artist, building a career without mass-marketing her art, escaping the tautology of process, the value of getting an MFA, the most asked question at her Help Desk column at the Daily Serving, the difference between the fictional and the imaginary, and more! We also talk about her current work — including her Borgesian Exhibition That Might Exist (in Portland), and the Bean Gilsdorf Living History Museum (in San Francisco), which has transformed her apartment into the world’s smallest living history museum — as well as her process of understanding her audience(s), her discovery that sometimes the problem is you and not your materials, and how she reconciles all of her past selves and muses over her future ones. Bean Gilsdorf is an artist and writer. Her recent art projects compare systems of history that appear as both individual accounts and as unified public narratives. Her performances explore history through appropriation and improvisation, while more material works — objects, videos, and installations — investigate archived historical records by manipulating images from mass-market history books. Her projects have been supported by grants from the Puffin Foundation and the NW Film Center of the Portland Art Museum, and included in exhibitions at the Wattis Institute for Contemporary Arts, the American Textile History Museum, and the Holter Museum of Art, as well as exhibition spaces in Poland, England, Italy, China, and South Africa. 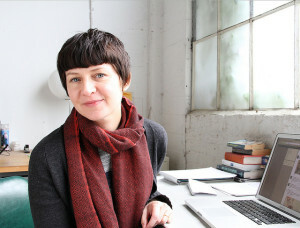 She is the Managing Editor of Daily Serving, an international publication for the contemporary fine arts, and her critical writing and interviews have also been published in online and print magazines such as Textile: the Journal of Cloth and Culture, Fiberarts Magazine (2007-2011), and Art Practical. Bean received her MFA from the California College of the Arts in 2011 and was a 2011-2012 Fellowship Resident at the Headlands Center for the Arts. She currently lives in San Francisco, where she operates the Bean Gilsdorf Living History Museum. Credits: This episode’s music is Blues for Art by Chick Corea. The conversation was recorded at the home of friends of Bean in Brooklyn on a pair of Blue enCORE 200 microphones feeding into a Zoom H4n recorder . The intro and outro were recorded on Blue Yeti USB Microphone . Processing was done in Audacity and Garage Band. Photo of Bean Gilsdorf by A. Discenza.